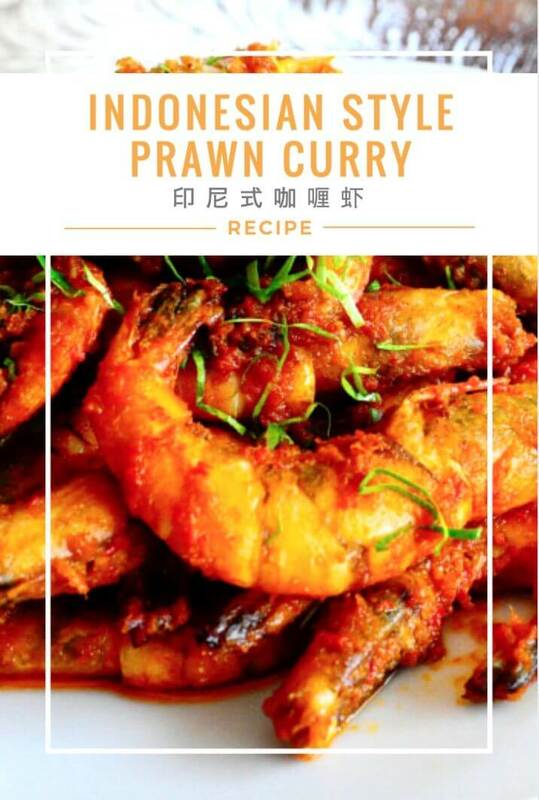 This is an Indonesian Prawn Curry that is in a dry form. It is a great dish to prepare especially when you happen to have prawns that you forgot to cook earlier. 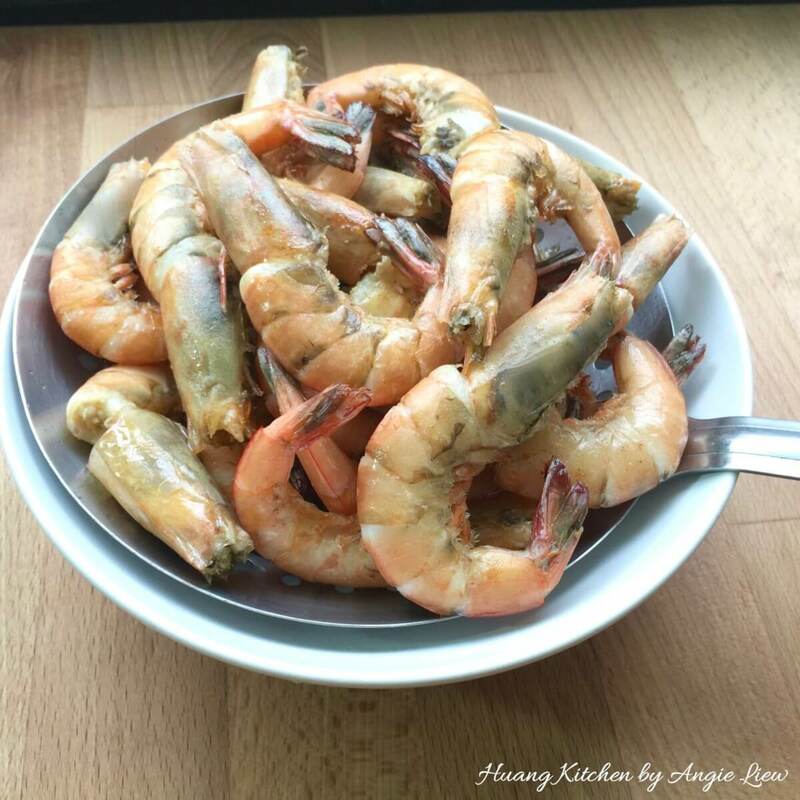 I decided to make this when I found a box of medium size prawns bought some time ago and totally forgotten about it in the freezer. Of course, it will be so much better with fresh prawns. 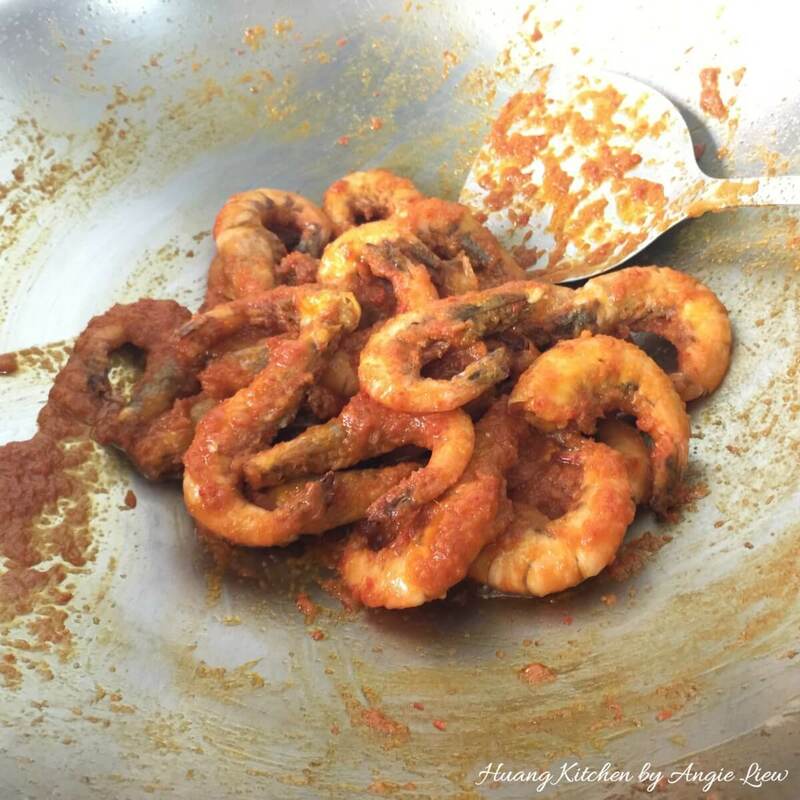 All you need to do for this Indonesian Prawn Curry dish is to first deep fry the prawns ( which is great for my frozen prawns). Then saute some lemongrass spice mix and then toss the prawns lightly with the spicy sauce in the wok. Then for extra flavour and crunch, top with some fried flavourful dried shrimps. And that’s it. Yes, it is that simple. 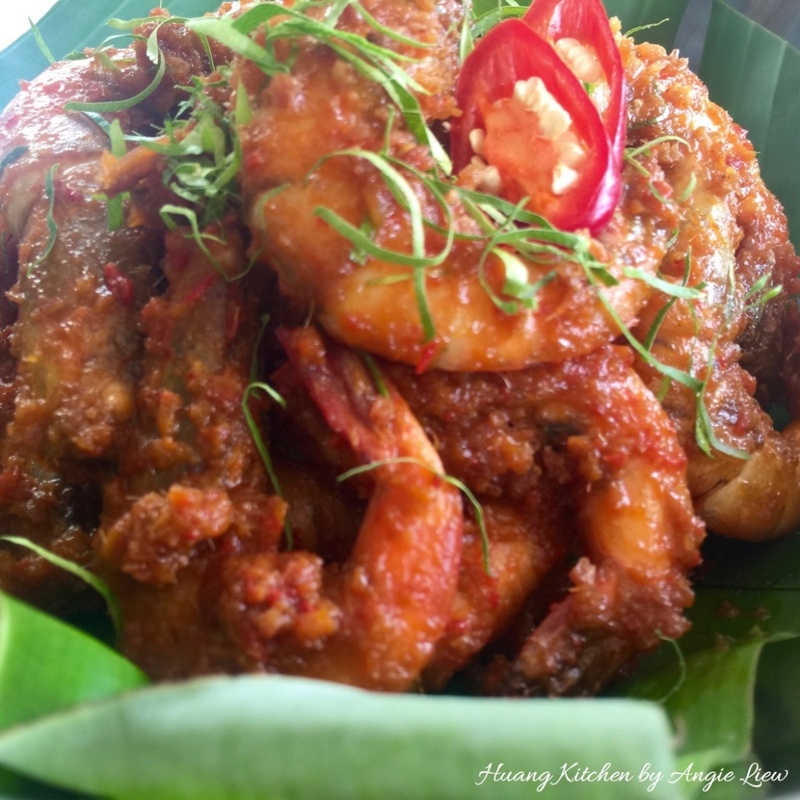 It is not too spicy or hot, with a rich and aromatic sauce that clings to every bit of the prawns. As always, ENJOY! 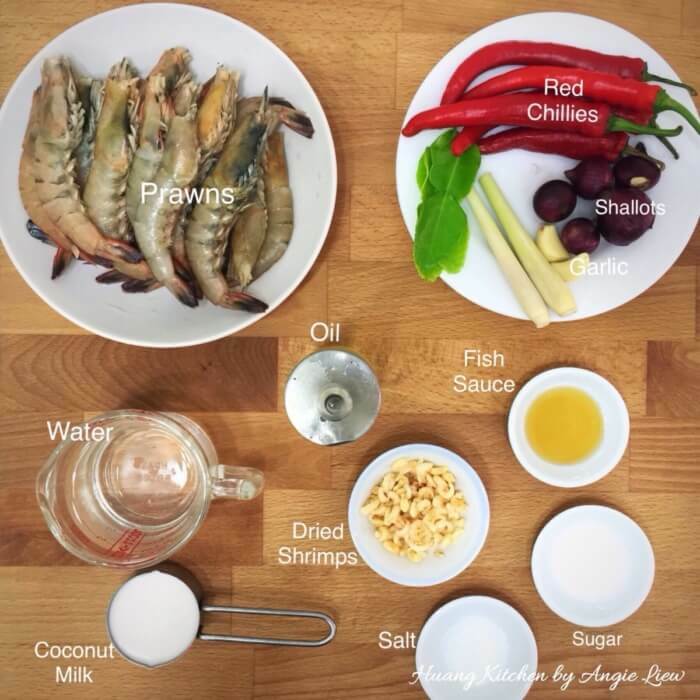 All you need for this dish is to first deep fry the prawns ( which is great for my frozen prawns). Then saute some lemongrass spice mix and then toss the prawns lightly with the spicy sauce in the wok. Then for extra flavour and crunch, top with some fried flavourful dried shrimps. And that's it. Yes, it is that simple. 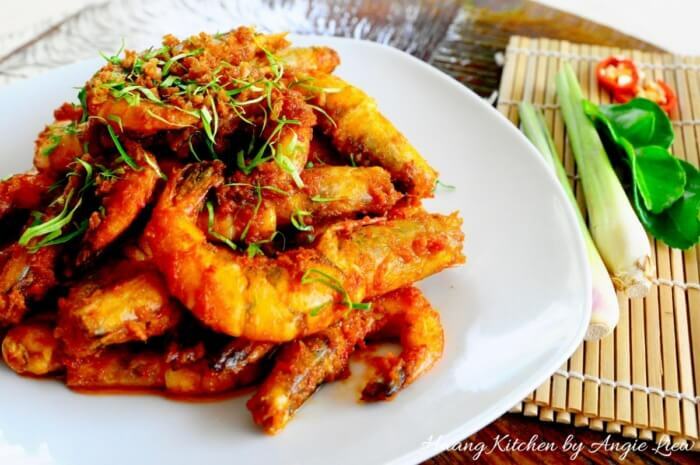 It is not too spicy or hot, with a rich and aromatic sauce that clings to every bit of the prawns. As always, ENJOY! Wash and clean prawns. 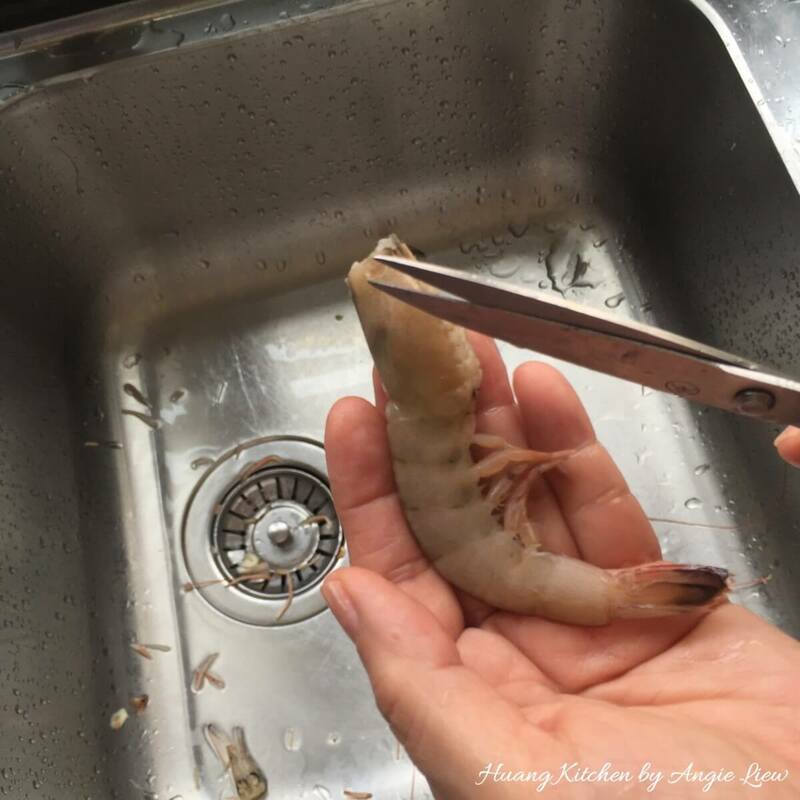 Using a pair of scissors, trim off feelers from prawns. Peel the skin and cut the spice ingredients into pieces. 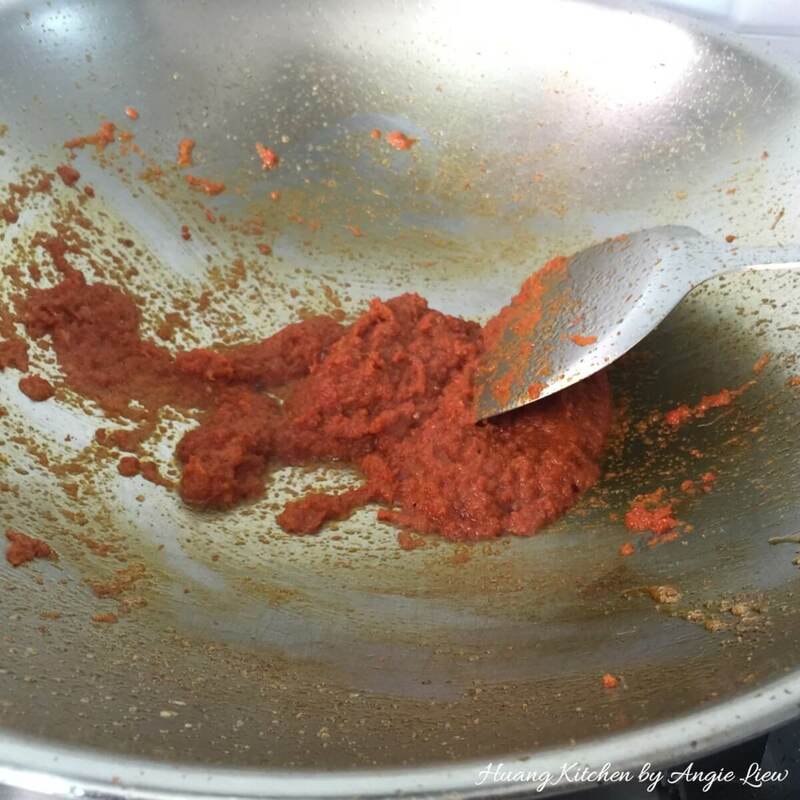 Ground the spice ingredients into a paste. 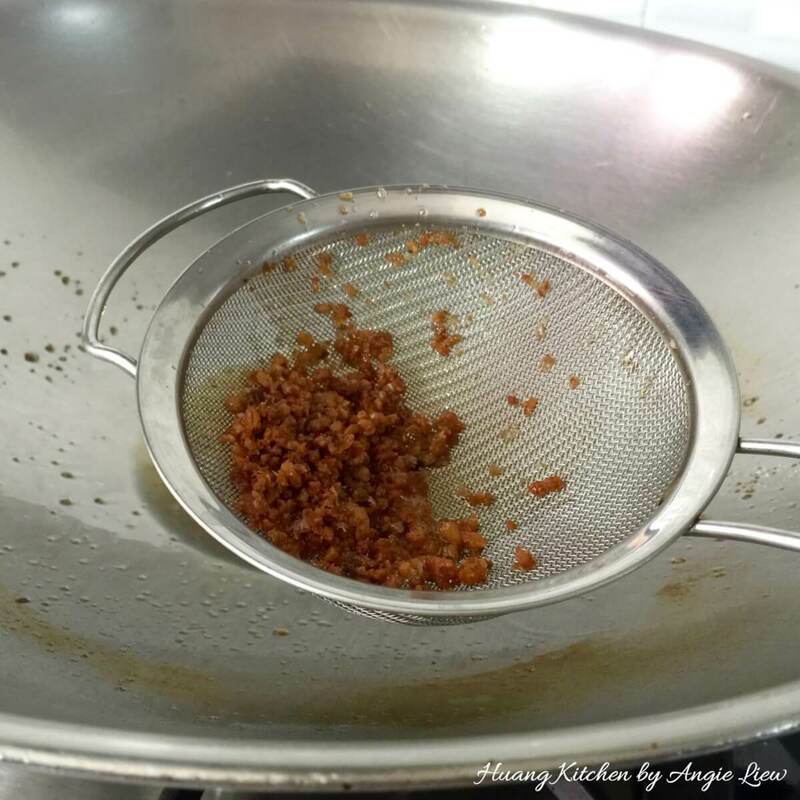 Soak, drain and coarsely chop dried prawns. Also shred some kaffir lime leaves. And we're ready to cook the dish! First, heat up oil in wok and fry prawns until just turn pink, about 1 minute. Dish up from wok with a strainer and set aside to drain. Leave about 2 tablespoons of oil in wok. Add in dried prawns and fry till fragrant, until golden brown. Drain and set aside for garnishing later. Using the same wok, heat up another 2 tablespoons oil and saute spice paste until aromatic and oil separates. 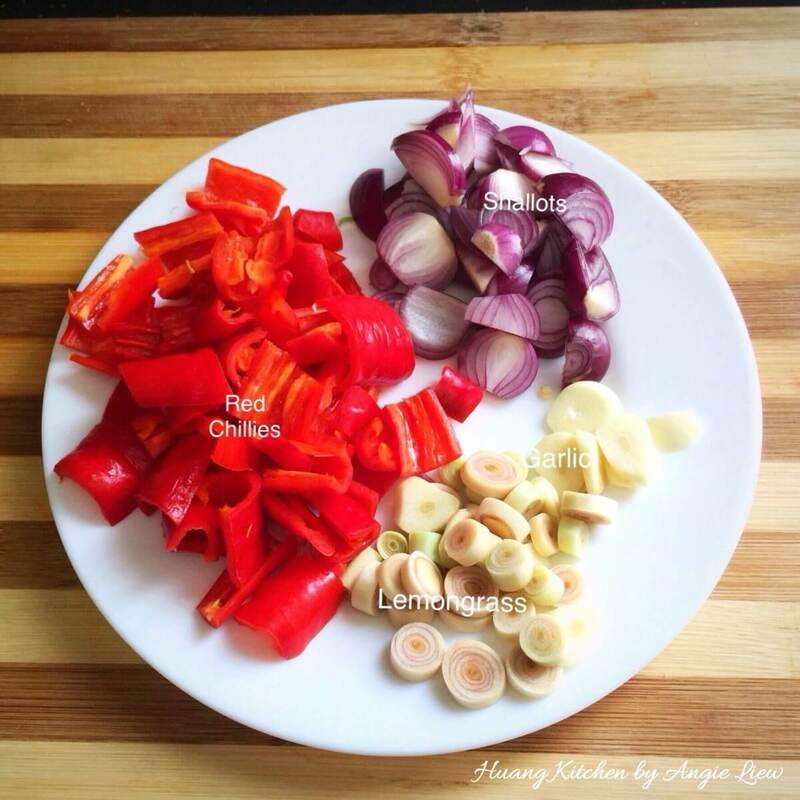 Then pour in thick coconut milk (santan), water or fresh milk and seasonings. 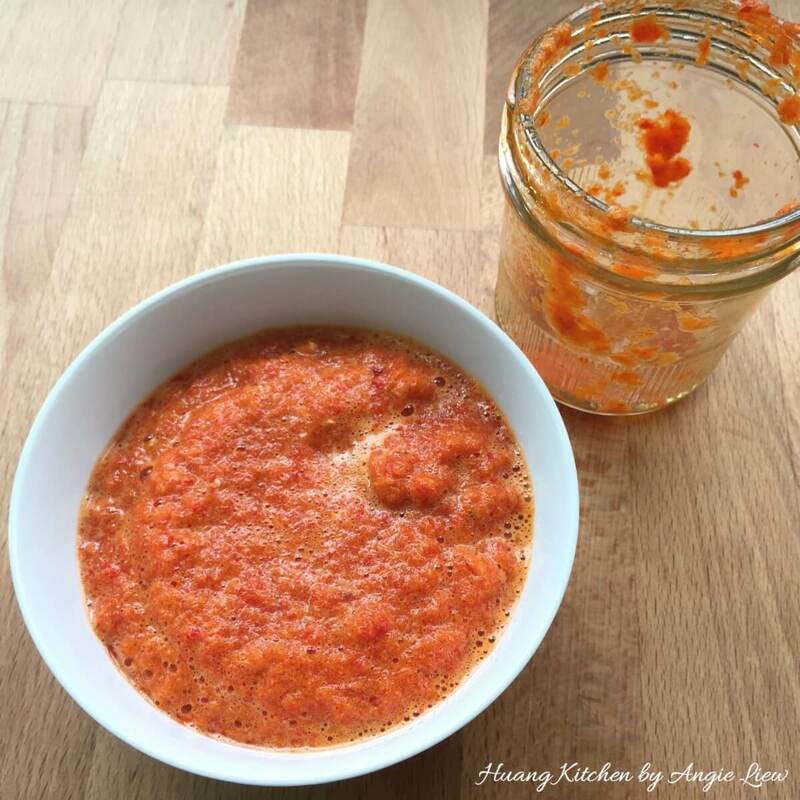 Continue to cook until the sauce has thickened a little. Add fried prawns and gently stir until the prawns are well coated with the sauce. Do not overcook the prawns. And we're done! 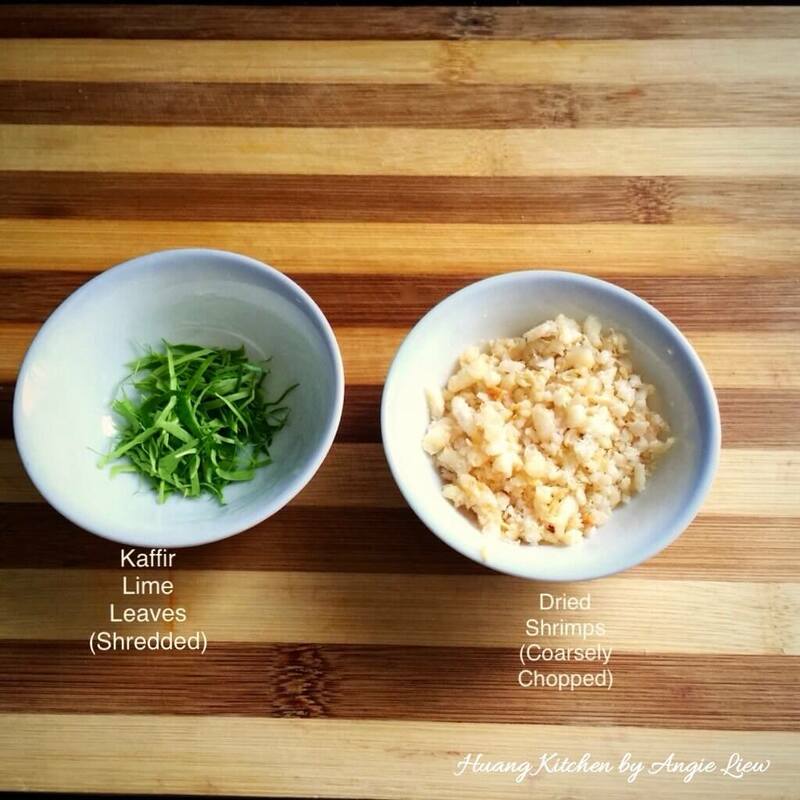 Garnish with dried shrimps and shredded kaffir lime leaves before serving and Enjoy! 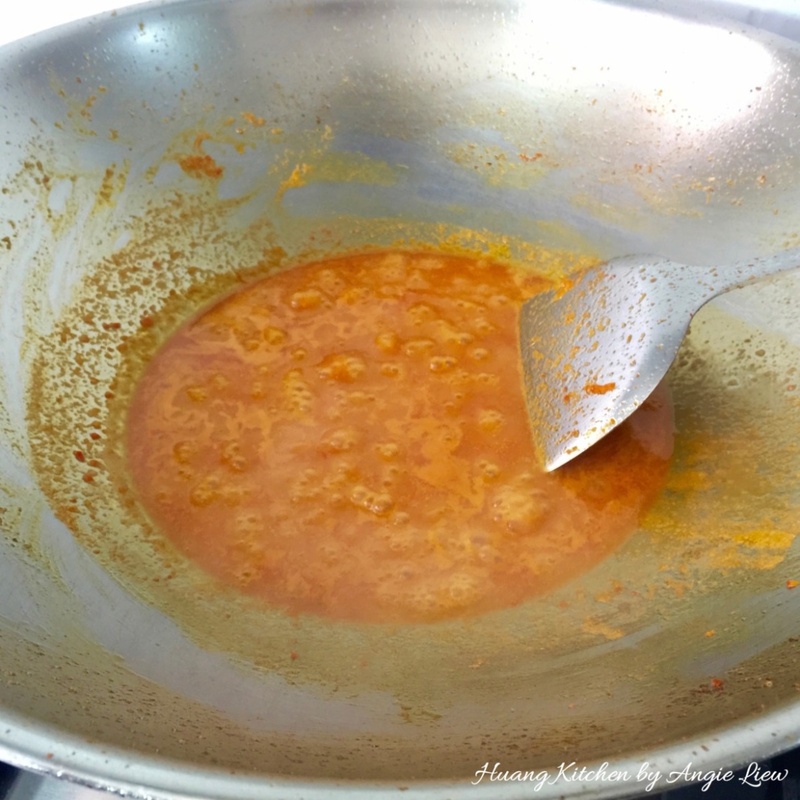 You can also add kerisik (toasted coconut) over the dish for extra flavour. Do not overcook the prawns. Otherwise they will turn tough.